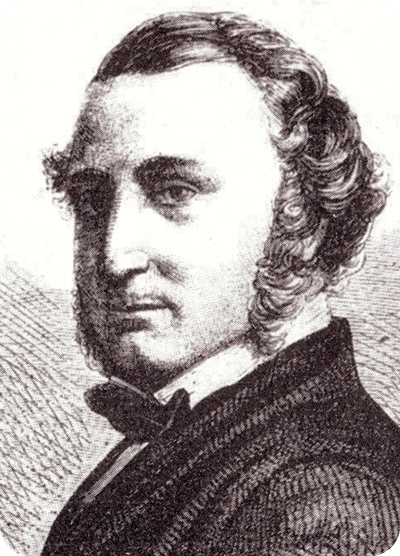 Thomas Crampton was born in August 1816 at Broadstairs. Thomas Russell Crampton was an English engineer who worked initially at Brunel’s Great Western Railway and is best known for designing the Crampton locomotive. Crampton was often involved in the railway construction itself, including the construction of railway lines such as those running from Sevenoaks to Swanley. He designed many lines some of which became part of the London Chatham and Dover Railway. The Sevenoaks Railway Company Act was passed by Parliament in 1859, allowing the railway to be constructed between Sevenoaks and Swanley. Crampton was appointed as the main Contractor. In 1864 Crampton bought land located at just a short distance from the station itself – 81 acres were purchased on his behalf forming part of Greatness Farm and St. John’s Farm. This land was valued at £10,750. To the very north of Sevenoaks and Bat & Ball station itself, Crampton’s legacy lives on in the form of Crampton Road which branches off the A225 Otford Road. Crampton was an assistant to Marc Brunel and then Sir Daniel Gooch, under whom he prepared the drawings for the ‘Firefly’ class of locomotives for the Great Western Railway. He also designed the Crampton locomotive in 1843, which with its large driving wheels, long boiler and low centre of gravity subsequently proved a huge success in France running for 40 years on its Northern and Eastern lines. Crampton next became locomotive designer in the respected firm of John and George Rennie. Soon Crampton’s designs were being replicated in forms such as the ‘Courier’ and ‘London’ – built to run on the London and North Western Railway and similarly the ‘Liege’ and ‘Namur’ running on a British owned railway in Belgium. Setting up his own business as a civil engineer in London in 1848, 12 Crampton engines were built for various British Railway companies. He designed the ‘Liverpool’ which, incorporating the basic Crampton design, proved to be the most powerful locomotive of its time capable of hauling 180 tons at 50 mph. ’Liverpool’ was shown at the Great Exhibition of 1851, winning him the gold medal. In 1854, Crampton was elected as a member of the Institution of Civil Engineers – his nomination signed by all the greatest engineers of the day. By 1870s, most express trains that ran on the Northern and Eastern Railways of France were hauled by locomotives to Crampton’s design. In addition to his railway career he laid the first successful international sub sea telegraph cable to France and built the water supply for Berlin. He also invented a furnace for burning powered fuel, revolving furnaces for the manufacture of iron and steel brick making machinery, cast iron forts, and an automatic hydraulic tunnel boring machine on which modern drilling techniques are bases. Thomas Crampton was awarded the Legion d’Honneur by Napoleon III and the Order of the Red Eagle by the Kaiser. With thanks to Roger Johnson for his research.